Riflesso is much more than just a wallpaper. 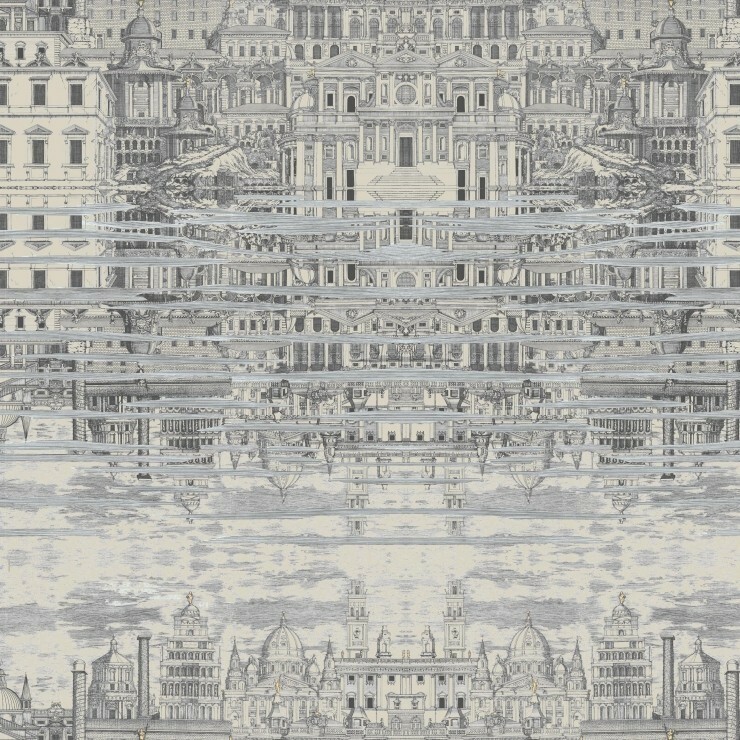 Based on the famous 1955 painting of Baroque Rome by the iconic Italian painter and designer, Piero Fornasetti, this expansive black and white pattern from Cole & Son will transform your walls into your own personal ‘Citta che si Rispecchia’. 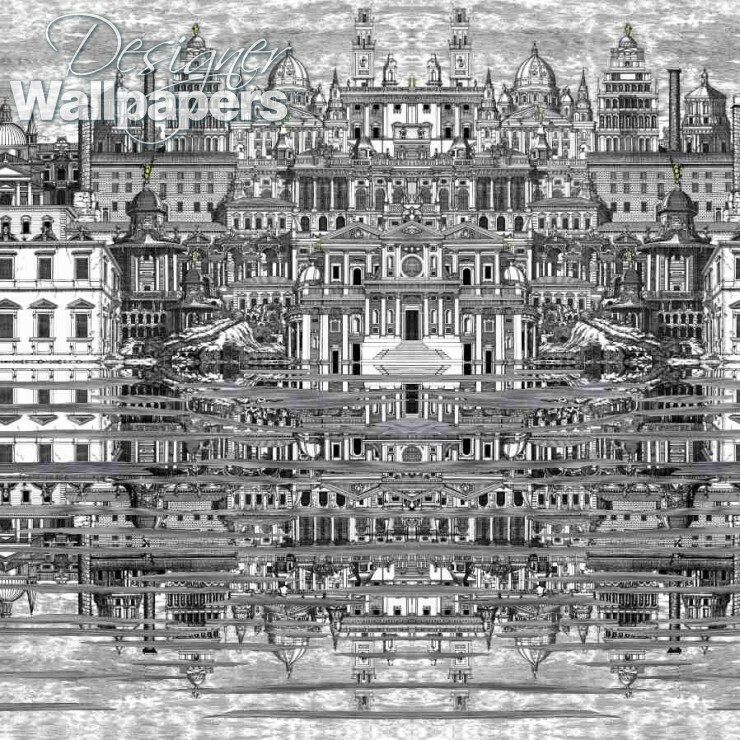 Intricately detailed classical Italian architecture comes alive in this masterpiece. The right hand side is a mirror image of the left, with both reflected in the water and then ruins in the foreground. 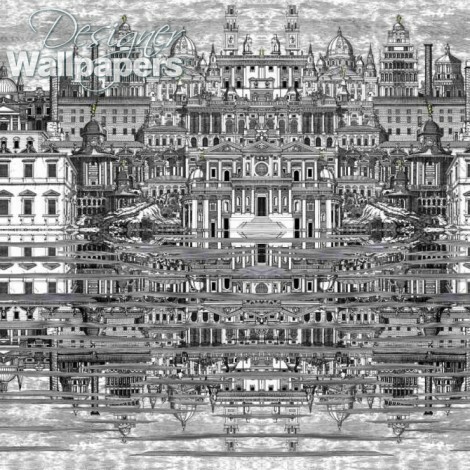 This is a special design which is sold per repeat, which is 140cm wide and 130cm high. Please note that 77/14052 is now limited stock so we can no-longer sample this colour-way. Please contact us on 0800 043 4798 if you need calculation advice. Cream and white with metallic highlights.